One of the best parts about visiting Walt Disney World is all of the great dining options available! Where else but Disney World can you dine in the West Wing of the Beast’s castle or sit in the back of a car shaped booth while watching retro movie clips? One of the most popular destinations for unique dining is Epcot where Disney makes it possible to "dine around the world" in a single day. But, do you need a park ticket to dine in one of the Epcot restaurants? Yes, you do. But don’t let that get you down. If you're looking for someplace amazing to dine at Disney World there are plenty of other great options to choose from outside of the parks! Where can I dine if I don’t have a park ticket? In order to eat in any of the parks, you must have a valid park ticket. This is true for every park at Disney World, not just Epcot. There is one exception to the "you must have a ticket to dine inside a park" rule: The Rainforest Café at Animal Kingdom. Uniquely positioned at the front of Animal Kingdom, The Rainforest Café has 2 entrances: one from outside of the park gates and one from inside. These dual entrances allows anybody to dine there, however, you'd still need a park ticket if you wanted to leave the restaurant and enter Animal Kingdom. If you don’t have a park ticket, there are plenty of other great dining options around Walt Disney World Resort. 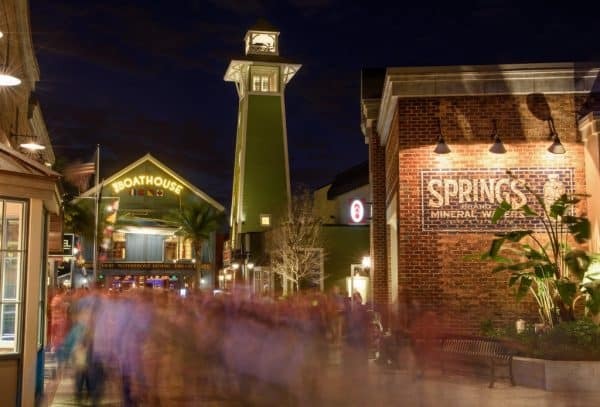 Disney Springs is a shopping, dining, and entertainment destination conveniently located on Disney property. If you are staying at a Disney resort hotel, transportation is provided to Disney Springs via bus or boat, depending on the hotel. We have an entire post on dining at Disney Springs that includes information on each restaurant. 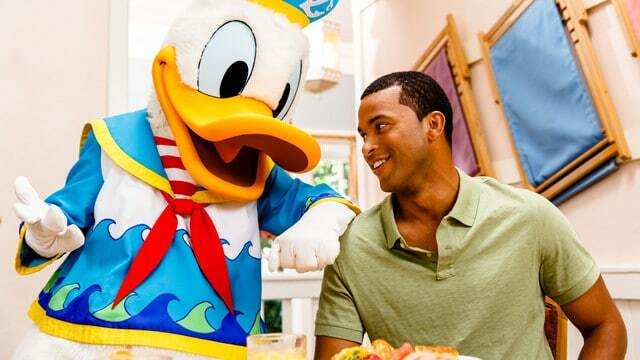 You'll find lots of options that can fit any budget, many of which are also eligible for the Disney Dining Plan. There are also several great dining options at the Disney resort hotels, and, since you don't need to be staying at one of the resorts to dine there, they all make great choices for guests. Need help getting there? 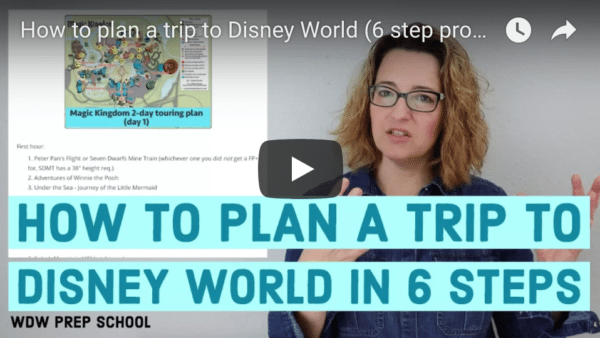 You can find information on how to travel between Disney resort hotels in our Walt Disney World Transportation Guide. There are several popular restaurants at Epcot and if you are able to enter the park, they would be great options for any trip. But, if you are looking for something to do outside the park you'll have choices, too. Here is a list of a few popular Epcot restaurants along with some suggestions of alternatives outside of the park. Akershus serves breakfast, lunch, and dinner in a medieval themed castle in the Norway pavilion of World Showcase. Various Disney princesses attend the meals and may include Belle, Snow White, Princess Aurora, Ariel, or Cinderella. 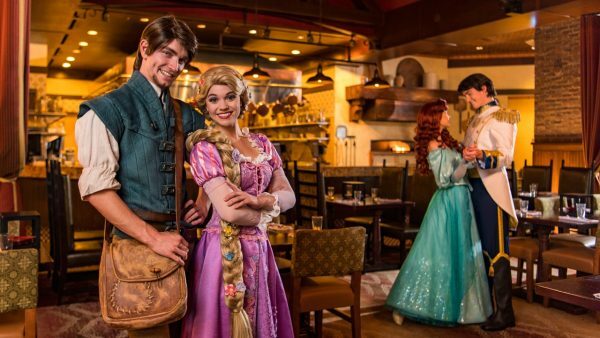 Join Flynn Rider, Rapunzel, Ariel, and Prince Eric for a hearty breakfast. Served daily at Trattoria al Forno at Disney’s Boardwalk Resort. Garden Grill serves breakfast, lunch, and dinner in a slowly revolving restaurant with views into the Living with the Land attraction. Mickey Mouse, Pluto, Chip, and Dale also visit guests for all three meals. Minnie Mouse is joined by Goofy, Daisy Duck, and Donald Duck for breakfast at this New England themed restaurant. Served daily at Cape May Cafe at Disney’s Beach Club Resort. La Cellier serves lunch and dinner and is themed after a cozy cellar in a Canadian chateau. La Cellier is a Signature dining experience and requires 2 credits on the Disney Dining Plan. 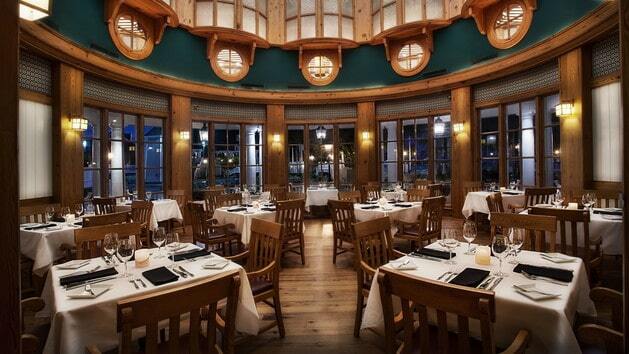 A New England style steakhouse serving dinner at Disney’s Yacht Club Resort. The Yachtsman Steakhouse is a Signature dining experience and requires 2 credits on the Disney Dining Plan. For more information on all the restaurants at Epcot, checkout our Epcot Restaurants Pros and Cons post. We also have a group of posts dedicated to all dining at Walt Disney World that can be found here.